HealthClic's Team. Highly Exclusive & 7-Star Concierge Medicine Service Founded out of Cambridge University. Daughter of doctors Priyanka Chaturvedi started HealthClic in 2015 with a drive to support leaders to continue achieving excellence and positively impacting those around them. Growing up with medics and with family values, she saw clearly why quality of care was constantly sacrificed; there was no sense of urgency on prevention, nor a world class primary care provider. Holding a degree in (BSc) Economics from University of Warwick, Priyanka attended the prestigious Cambridge Judge Business School. Her vision was to finally offer discreet concierge medicine to London clients; where the UK’s traditional private sector failed. As knowledge of preventive healthcare among UK practitioners remains scarce, she ensures HealthClic Doctors are regularly trained on global evidence & advanced treatments. Providing patients with a 7-star service is Priyanka’s fundamental standard. Nothing less! 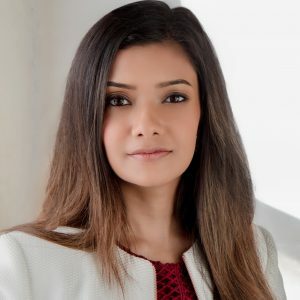 Respected by both clients and their teams, she has a key interest in the unique medical challenges faced by world leaders, celebrities & executives, and coined the term ‘Trust Barrier’ with Dr Chaturvedi. "Medicine is personal, there is no one-size fits all. Hence, it is no surprise many leaders choose concierge doctors to look after themselves and their families"
Dr Anuj Chaturvedi has been doctor for over 30 years, and is our Medical Director. Highly popular with his patients, he is focused on personalised medicine, and is also a Specialist GP Advisor to the Care Quality Commission. Dr Chaturvedi personally interviews each GP who joins HealthClic and strives for a team of HealthClic Doctors who are fit for “global standard”. He also carefully approves preventative health protocols for our members. Furthermore, he is a current GP Trainer and Appraiser, and is involved in the recruitment process for GPs with The London Deanery. 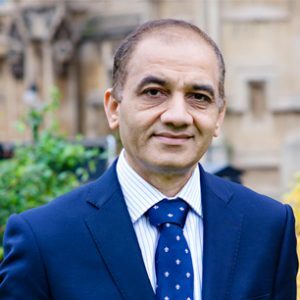 Dr Chaturvedi has spent many years working in the NHS at Partner Level, holding Membership with the Royal College of General Practitioners. Case Management and leading a team of specialists to treat and care for his patients is one of his major strengths. Through his extensive experience, Dr Chaturvedi advocates care suited to individuals’ genetics, family and lifestyle factors. His main specialties cover radiology, general surgery (with background in renal transplant) and preventive medicine along with bio-identical hormone replacement therapy. 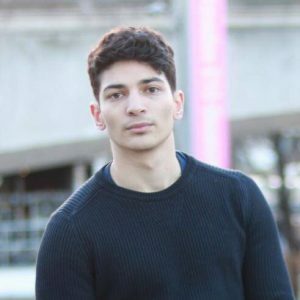 "Medicine is an art as well as a science; so together with patients we must take a holistic approach and look at many factors, in order to achieve the very best results"
Adam Hussan has been a valuable member of the HealthClic team since launching in 2015. He is a highly reliable individual; well-known with many HealthClic members. He leads the Healthcare Representative team ensuring that referrals, admissions and tests happen discreetly, swiftly and smoothly for all patients. He makes the magic happen! Thanks to his extensive knowledge of London private healthcare, he adapts recommendations based on suitability for each unique patient. Adam’s contributions to HealthClic have been highly noticeable particularly due to his impressive background of undergraduate studies in Biomedical Science at the University of Warwick. He takes a proactive approach in supporting patients and their teams. Currently in his second year of medical school at King’s College London, he is rotating between hospitals and GP practices. An intrinsic humanitarian nature is the epicentre of Adam’s characteristics, actively involving himself in ongoing charitable & mentoring programs, with an emphasis on health longevity. This is his true passion; which brings a wonderful addition to the HealthClic team’s ethos on preventive medicine. 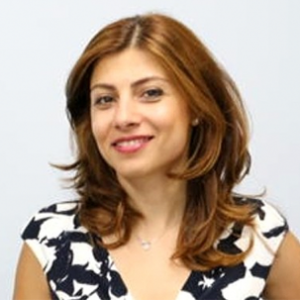 Dr Maryam Behnam is a highly valued HealthClic Concierge Doctor, well respected by patients and colleagues alike. She is responsible for our educational updates on modern medicine, along with the implementation of new protocols and clinical audits as part of the HealthClic Clinical Governance Committee. She is known for her detailed approach and caring demeanour. She obtained her Medical Degree in 2004 in Iran before moving to the UK in 2006. Dr Behnam completed her foundation training in London and did two years of surgery across various London hospitals; including Royal Free Hospital. Having realised her passion for family medicine, she subsequently qualified as a GP in Kent, Surrey and Sussex (KSS) Deanery and has since been a dedicated General Practitioner in London. She has special interest in dermatology and cosmetic medicine, and she holds a postgraduate dermatology diploma. Dr Behnam prides herself on working towards the best solutions for her patients. Making each patient feel heard, respected and valued is very important to her.